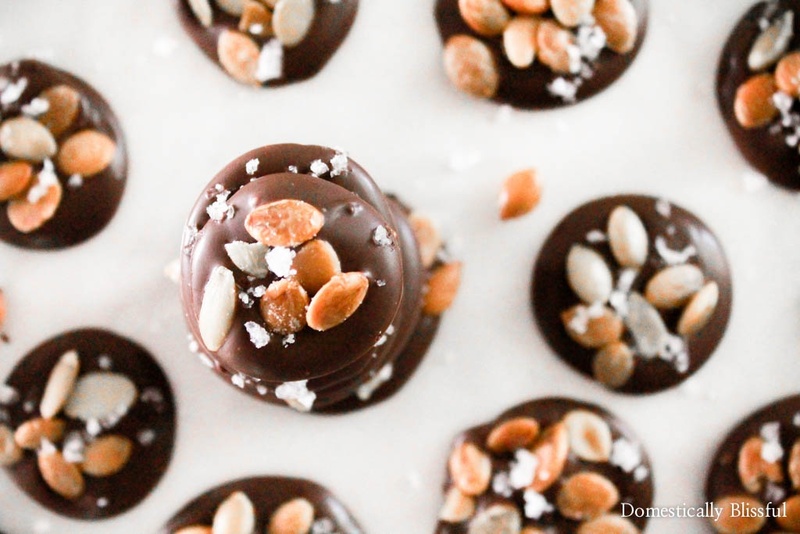 Sea Salt Dark Chocolate Pumpkin Seeds are a fun fall dessert that is quick & easy, smooth & crunchy, with a salty & sweet taste. My newest pumpkin obsession is pumpkin seeds. I love the ones from Publix that are shelled, roasted, & salted. And I absolutely love the salty crunch of these cute little seeds. When I first went looking for them, I couldn’t find them & then I discovered that pumpkin seeds are often, or more commonly, called pepitas. And now I must admit that I am not sure whether I should refer to them as pumpkin seeds or pepitas. 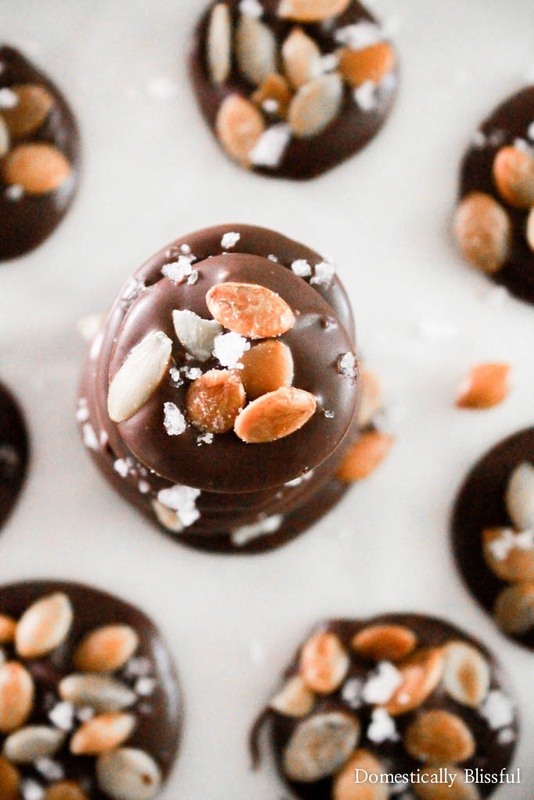 But since I’m sure I’m not the only one who didn’t know that pumpkin seeds are called pepitas, I decided to continue calling this new little dessert treat Sea Dark Chocolate Pumpkin Seeds. 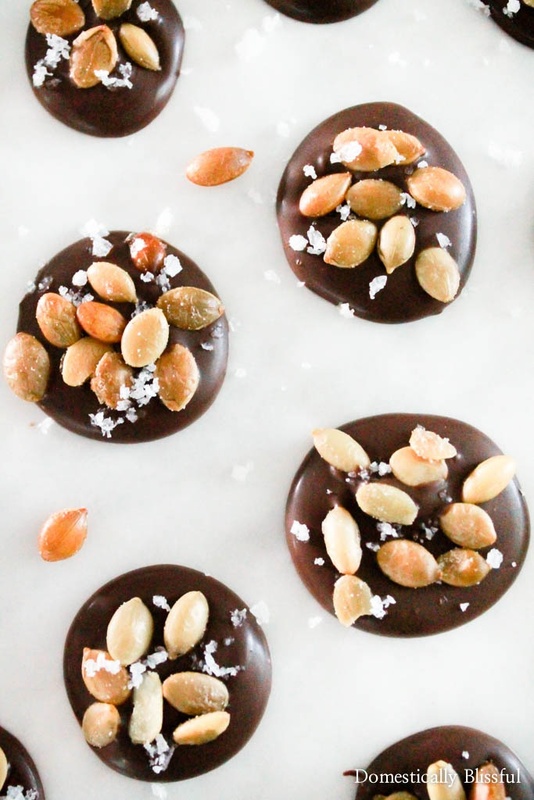 However, you are more than welcome to call them salted dark chocolate pepitas, chocolate pumpkin seeds, sea salt chocolate pumpkin seeds, or anything else you like! 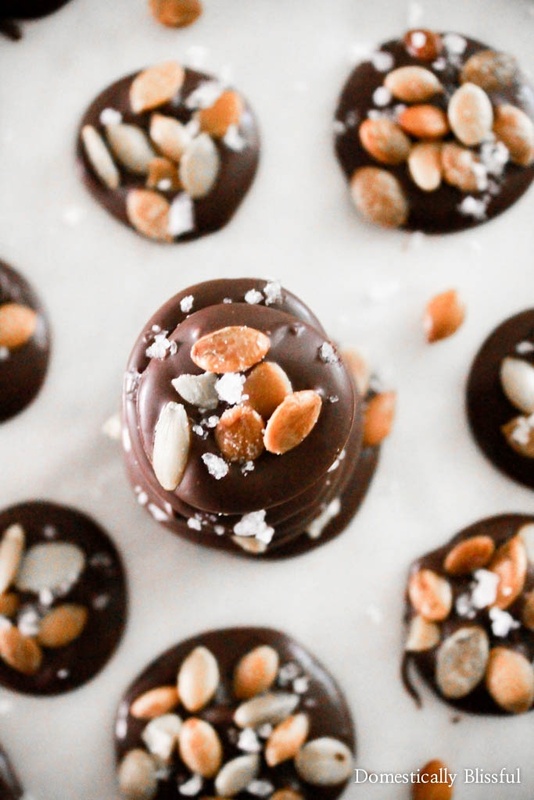 Because no matter what you call these little chocolate bites the taste & texture will be as crave-inducing as ever! And no matter how many times you make them this season you won’t ever get tired of how delicious & easy they are to create! 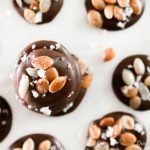 These Sea Salt Dark Chocolate Pumpkin Seeds are easy enough to create you could easily make hundreds of them in under an hour, maybe even in 30 minutes! Between school bake sales & hurricane relief bake sales, these little treats would make a quick, easy, delicious, & unique treat to sell. And yes, I realize that this isn’t a baked good. But do you think a pumpkin lover or a chocoholic will pass these treats up? Especially because you can eat a few without feeling guilty & save the rest for whenever you need a special treat or mid day pick me up! They would be so cute wrapped up in saran wrap or even in little 6 oz or 8 oz glass jars. Which makes me think they could even make pretty fall wedding favors or a hostess gift. Or you could just do what I do & make up a bunch to share with your sister. 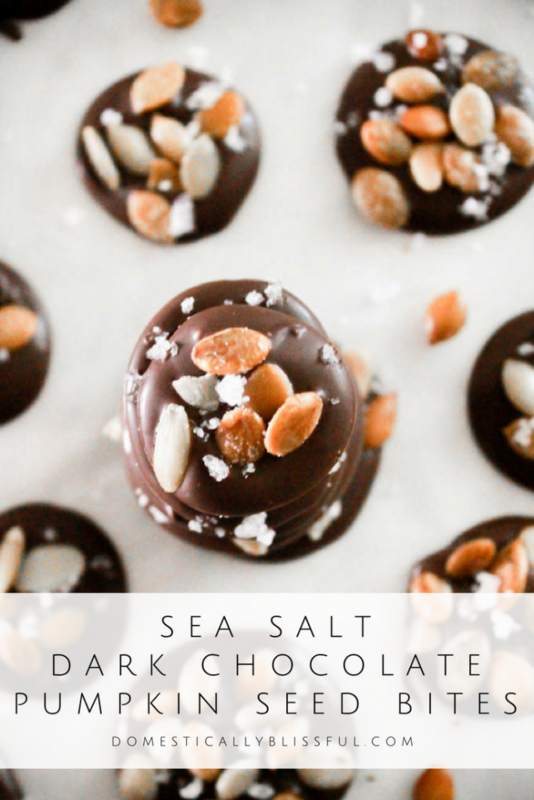 No matter what you make your Sea Salt Dark Chocolate Pumpkin Seeds for, you & everyone around you are sure to enjoy them! First, melt the dark chocolate according to their packaging instructions. 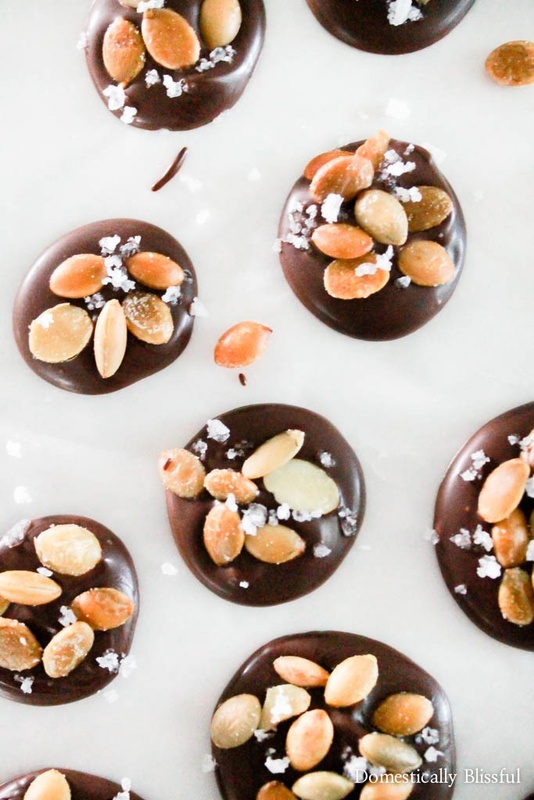 Next, drop spoonfuls of melted dark chocolate, 1/2 – 1 tablespoon, onto a baking sheet lined with parchment paper. *1. 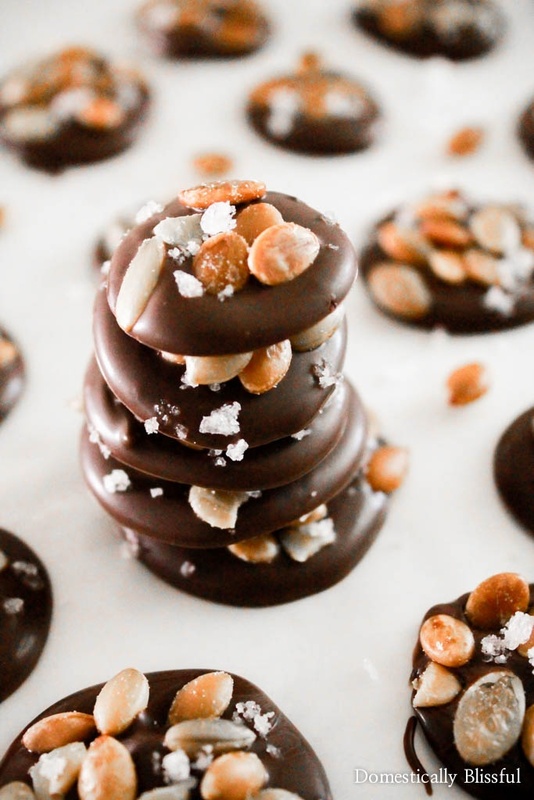 I top my chocolate bites after every 4th or 5th spoonful of chocolate so that the chocolate doesn’t harden before I get a chance to top them. What is your way to eat pumpkin seeds? And then I will be able to boast on the day of Christ that I did not run or labor in vain.